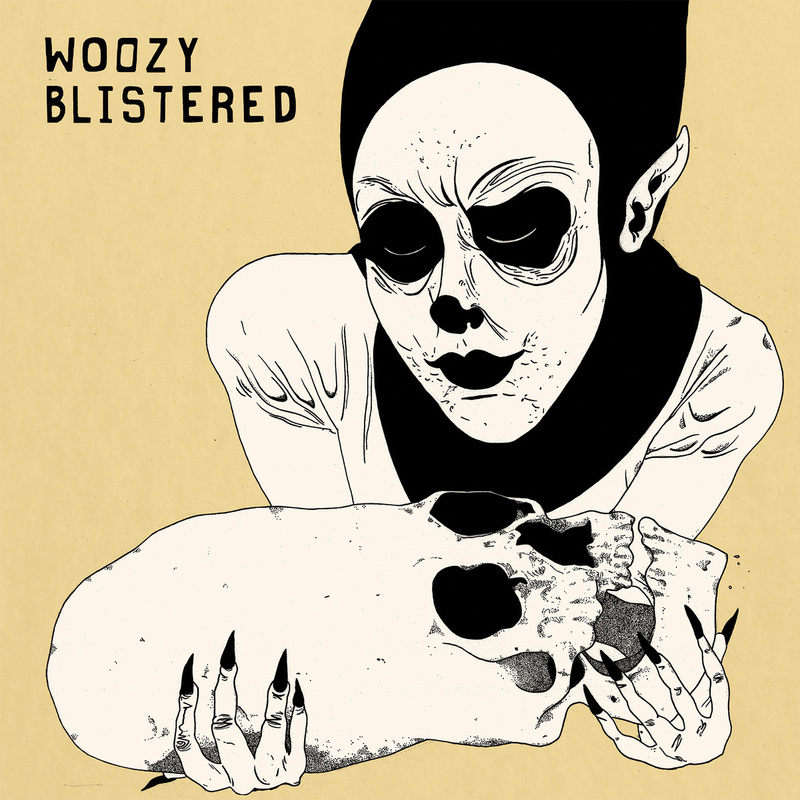 New Orleans three-piece Woozy uses a myriad of genre labels to categorize their full-length debut Blistered—out October 16 via the combined efforts of Community Records and Exploding In Sound. Bandcamp tags reference rock, alternative, shoegaze, post-punk, and even something called glitter daddy sparkle rock, but pinning down their sound is like pinning your prom date’s boutonniere on the C train—shaky and dangerous. The songs on Blistered are dynamic and often include multiple melodies, while Kara Stafford’s and John St. Cyr’s vocals blend like a Fauvist’s palette knife. The songs do not contain bass, but the jangly guitar interplay and Ian Paine-Jesam’s virtuoso drumming distract enough that it wasn’t until my fifth listen that I came across this revelation. The opener, “Venom”, stings like a snakebite and is one of the album’s strongest tracks. Across the song’s four minutes, the band shifts seamlessly from cymbal-crashing punk loudness to quiet, finger-picking folk inspired harmonies. “Clouds Rush In” is another standout, in which Stafford and St. Cyr beg to be re-admitted to the lonely heart’s club over soft, melodic guitar before the intensity of their feelings are fueled into feedback. At the coda Stafford and St. Cyr repeat, “I’m not broken/ He’s just holding/ My hands/ Hostage.” Brutal. Their latest single, “Painted White”, released last week, features the pessimistic lyrics, “Success is a lie/ Six years with nothing to show.” Woozy might start changing their tune soon, though. The band is on an US extensive tour in support of Blistered and it won’t be long before word of their talents spread. You can stream Blistered below, and scroll on for a complete list of Woozy tour dates.